Carry on hands-on learning experiences in recreating restaurant, bar, front desk and hotel scenarios using state-of the-art simulators that is built on excellent reputation of our partner hotels, thus providing up-to-date hospitality programs of outstanding quality. Execute the skills learned in fully equipped 5-star training facilities which have been built in accordance with high standards to ensure a healthy, safe, and functional and stimulating environment, conducive to teaching and learning. Guarantee safety and security with CCTV cameras and lockers installed to ensure protection of the students’ work, their things and their environment during class hours, thus reassuring our students and teachers remain free from distractions during school time. Attain recognition from ITCHI’s international affiliations with top recruitment companies which assure a wealth of local and overseas employment opportunities to successful graduates. Achieve certificates with national accreditation from TESDA ensuring strong links to the hospitality industry locally and secure courses which are recognized worldwide, providing you with the best possible career opportunities. 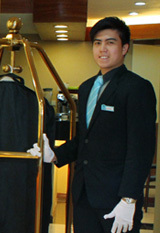 Gain priority overseas job placement in JOBSMANILA INTERNATIONAL, a member of Overseas Placement Association of the Phil. 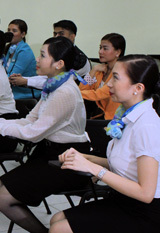 (OPAP), with potential job assistance to numerous local and international agencies. Build up confidence through exciting on-the-job and management training opportunities with partner hotels and restaurants, local and overseas, like in Thailand, plus a chance of being absorbed full time. Engage in relevant training from quality modules and materials designed from actual 5-star luxury hotel standards and procedures. to ensure that the curricula correspond to the latest requirements and developments of the industry. Acquire up to date skills and knowledge with a curriculum designed to serve both students who plan to enter the workforce upon graduation as well as students who wish to would like to shift to a new career. The curriculum is designed to develop the skills, competencies and leadership qualities that are required for a successful career in hospitality. Secure essential training experiences from industry experts who prepare students for real hotel professions. They have spent time working in the field and can provide students with both theoretical and experiential knowledge. Boost learning from certified trainers from diverse education backgrounds bringing a range of qualifications, skills and experience. They are deeply passionate about their subjects, as well as their students’ success! 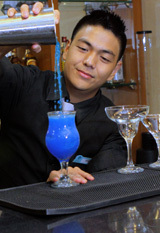 Whether you aspire to be a bartender or top manager, ITCHI has cooked up everything you could possibly need to succeed. Check out the facilities and amenities available for you. Learning at ITCHI promises a wealth of opportunities upon graduation. With connections to esteemed establishments here and abroad, we guarantee that your own journey to success will begin right here. ITCHI trains with programs that provide students with a winning edge. Our trainers support extends beyond the classroom and our courses open up to a range of international opportunities that are made available. I am leaving for QATAR very soon. After our training, I am even more confident in providing excellent service not only to our customers, but also to my boss and colleagues. The training was fun, up-to-date and useful. In my line of work, I deal with a lot of people, answer their concerns and handle complains. Thanks for the opportunity! I have recommended ITCHI to my friends! 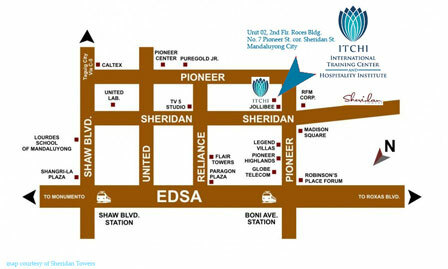 Working abroad is much more possible at ITCHI coz I am preparing a better future for my kid. 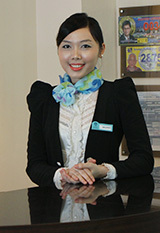 I wanted a shift in my career so I applied as receptionist for Regency Travel and Tour in Qatar. In preparation for this new career, I took up “Introduction to Travel Operations” course at ITCHI. During the training, I have gained so much knowledge and skills needed to be successful in my new work. I really want to prove something to my parents and I know I will make them proud. Thank you…. I could actually apply what I have learned in the service excellence workshop at work tomorrow. Working in Doha now….I remember when our trainer went to the pool where I was assigned in order to assess my performance, I was so glad he came cause I showed him that we could actually use what we have learned from him in our day to day duties. 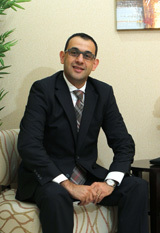 Now that I am at Safir Hotel, for sure, I will continue applying what I have learned. Thank you……. Having difficulty with my previous jobs in Manila, I decided to apply for abroad and was luckily selected as a waitress at the lenotre Paris to prepare myself; I attended the Food and Beverage Training at ITCHI. The training has boosted my confidence in dealing with foreign guest and colleagues. With a diverse culture in Qatar, thanks to my training, I feel I am ready to handle guest request and even complaints effectively. Been in Doha since July 2013. Just like me, I know that some of my friends who were lucky to undergo such training have already been deployed, too. And I am sure that they share the same mindset and enthusiasm with me in providing excellent service to every room we clean and every guest we meet.